Cakeyboi: Puppy Chow - it's NOT for dogs!!! 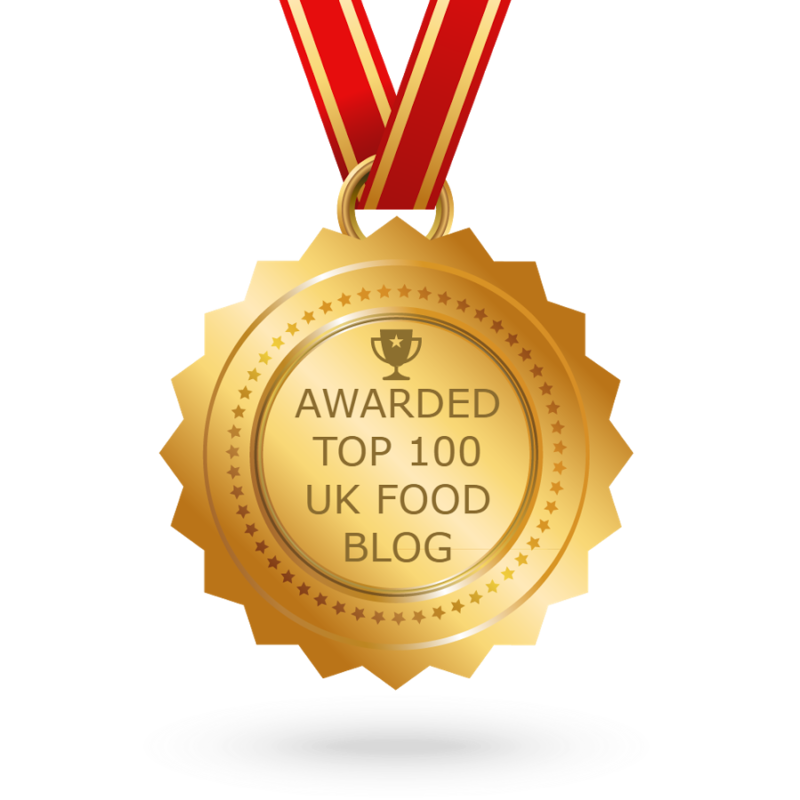 1 – This stuff is seriously addictive – don’t blame me if your jeans get tight! 2 – On a more serious note, this recipe is NOT suitable for dogs as it contains chocolate, which is bad for our canine friends. Okay, with that over with, you may be asking what Puppy Chow is? Well, in America it uses a certain brand of cereal called Chex, which is then coated in a combo of chocolate, peanut butter and butter. Finally a good amount of icing sugar is then tossed with the cereal. After being allowed to cool, it makes a perfect snack. 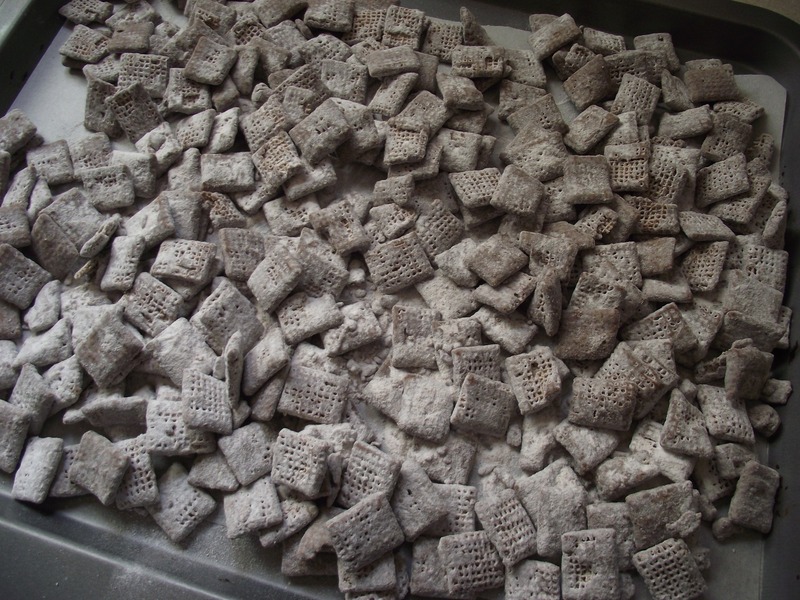 Why is it called Puppy Chow? Apparently it resembles an old brand of dog food with that name. But it is also called Monkey Munch or Muddy Buddies too. 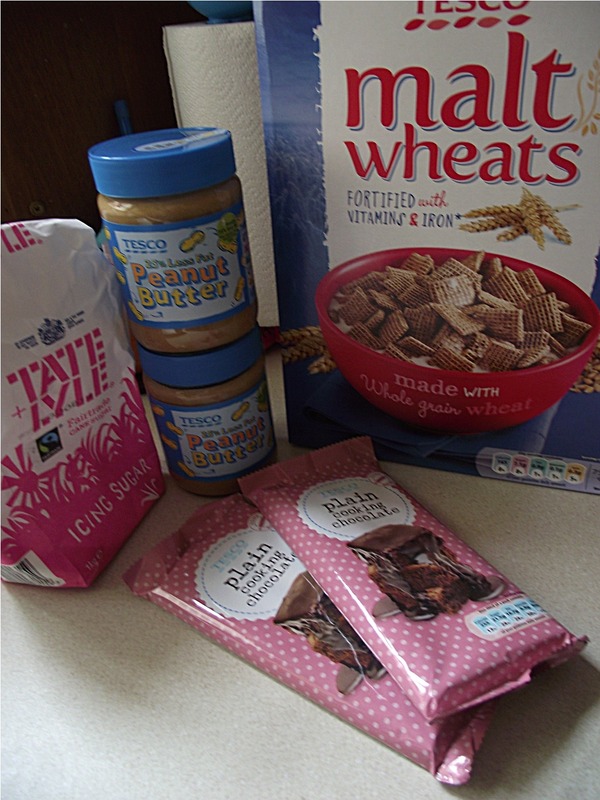 As we don't get Chex in the UK, I have used Tesco Malt Wheats in my recipe, but Mini Shreddies, or similar works well too. 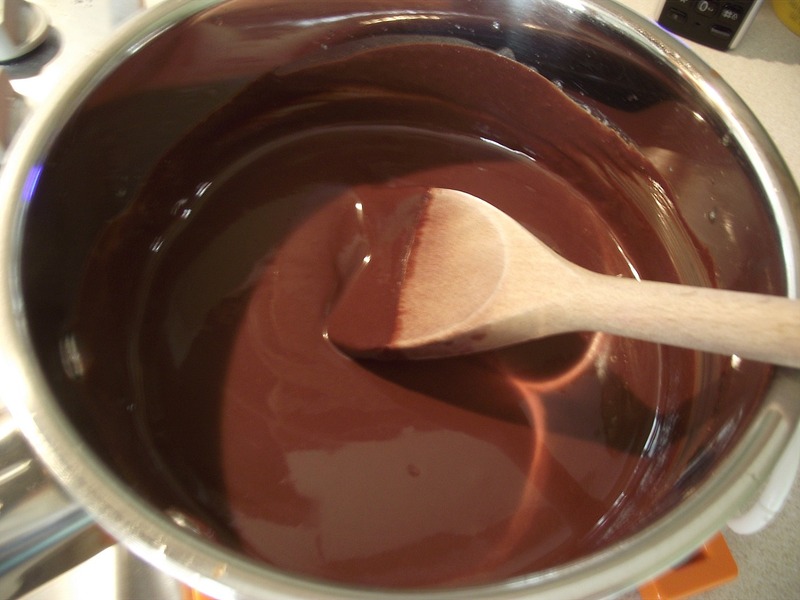 In a saucepan over medium heat, melt the chocolate, butter and peanut butter until it is smooth. Stir in the vanilla extract. In a large bowl, with the cereal measured out, add the ‘sauce’ and mix thoroughly until all of the cereal is completely coated. 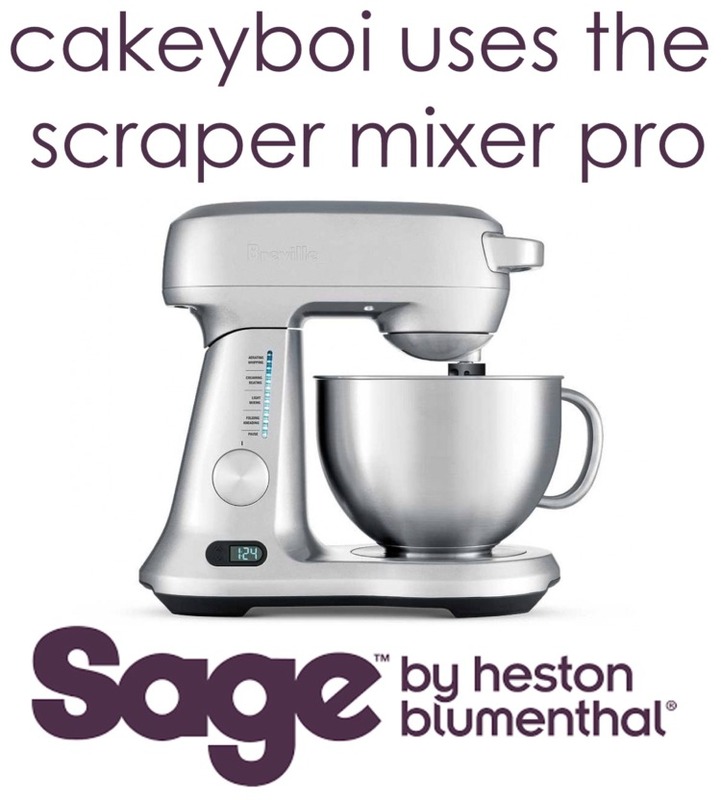 Transfer this to a large plastic container (with a lid) and sprinkle over the icing sugar. 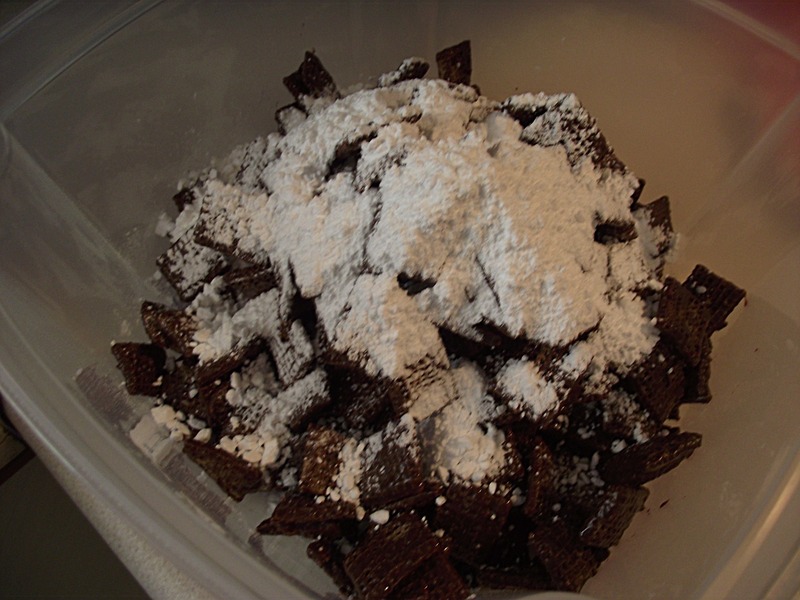 Place the lid on top and give the box a good shake so all the chocolaty cereal is now covered in sugar. Transfer the cereal to a lined cookie sheet and allow to cool in the fridge. And there you have Puppy Chow. It may sound simple, but it is very delicious and very very moreish! Especially when you get a bit of cereal that has soaked up more chocolate and has a satisfying bite to it. And of course, chocolate and peanut butter together – what more do I need to say other than enjoy!! Oh dear! This is a VERY dangerous recipe! I don't know which is my favourite, Puppy Chow or Chex Party Mix. The perfect party is a bowl of each. Thanks for sharing this recipe...it's a keeper. Dangerous but good! Enjoy Debs!! 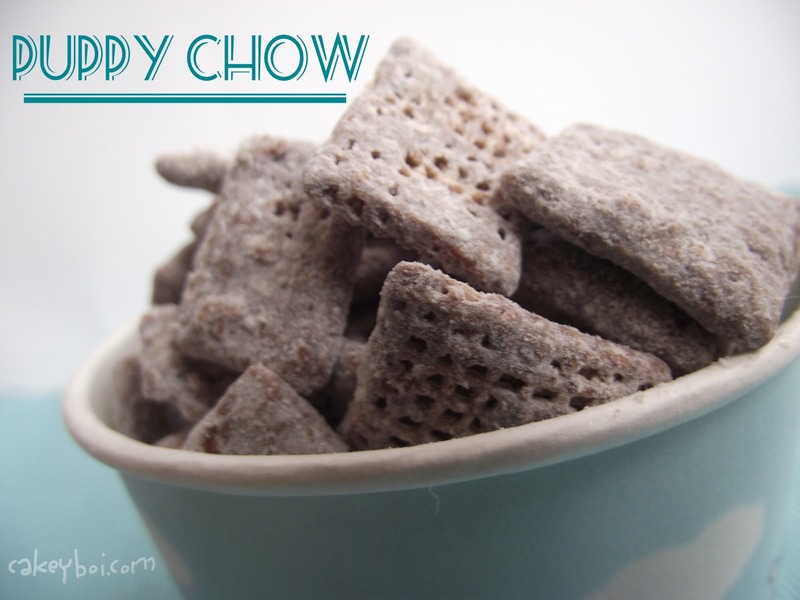 Oh, these seem similar to Chex Mix Muddy Buddies! If so, I am already addicted!